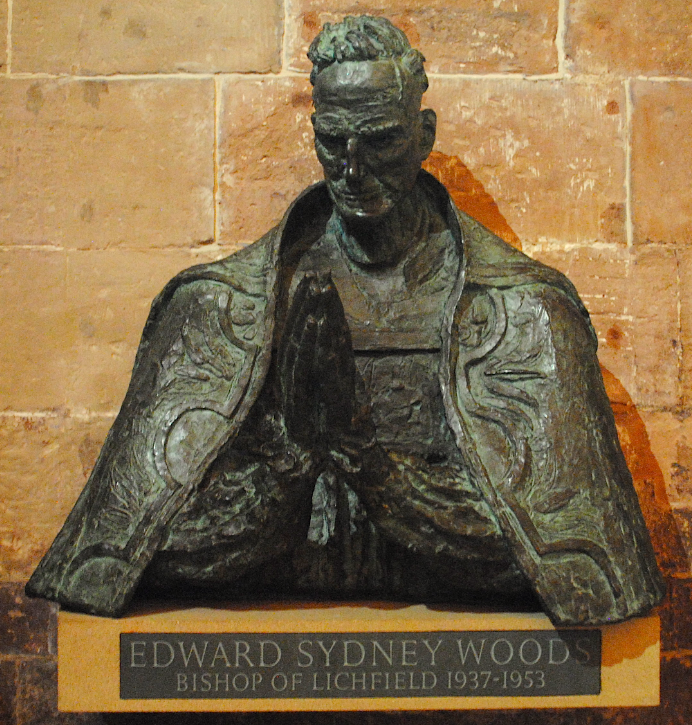 Located in the Pedilavium in Lichfield Cathedral is the bronze sculpture of Edward Sydney Woods who was Bishop of Lichfield from 1937-1953. The sculpture is the work of the American born sculptor, painter and illustrator, Sir Jacob Epstein and was created in 1958. Epstein was a member who founded the London Group in 1913 and he was knighted in 1954.